Truly a beautiful home in Heritage Ranch.Wonderful open floor plan that gives space in areas you need and is perfect for entertaining.The welcoming foyer with formals and windows on one side leads you to the fabulous kitchen and living area.Plantation shutters, wood floors, built ins, wet bar and fireplace enhance this space. Awesome kitchen with granite countertops, center island, gas cooktop and lots of cabinet and counter space. 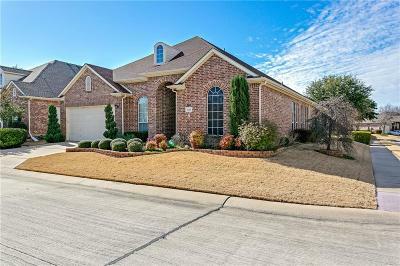 Elegant master suite with walkin shower, garden tub, dual vanities and huge closet.Media room upstairs with chairlift complete with recliners and AV equipment.Corner lot, covered back porch with Phantom retractable screens, sprinkler system, golf cart storage in the garage and so much more!